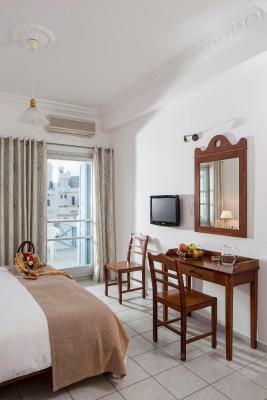 Lock in a great price for Acteon Hotel – rated 8.1 by recent guests! 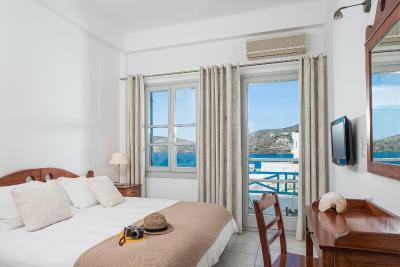 Everything is great, the terrace and its view of the port and Agia Irini is superb, the room is immaculately clean, the location is supreme and there are nice restaurants and cafes very close by. Nice balcony looking over the port. Location was great. The property was clean, the check in and check out was very fast. The kindness if the staff. 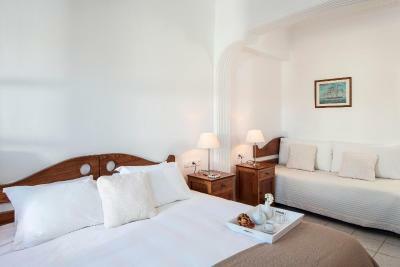 We were disappointed because the room that was given to us looks completely different from the pictures advertising the hotel (which should be changed in my opinion). The room was also very small. The staff accepted to upgrade us in a much bigger room with view onto the sea for just a little bit more money. 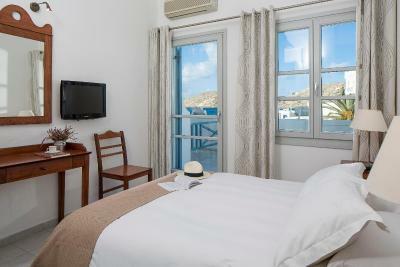 Excellent location, right beside the Port and across the road from the local bus stop. There is a beach within walking distance. Brilliant air con in the room, which meant we got a great night sleep. 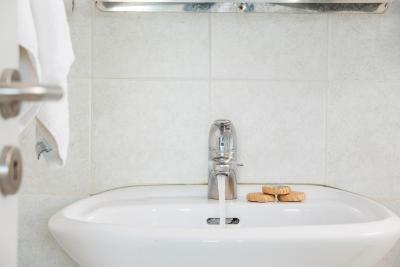 It was clean, the staff were all really friendly and the the management was very informative and helpful. I would definitely stay here again. 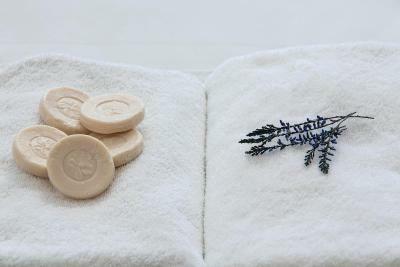 The staff were extremely helpful, friendly and made the stay extra special! Would highly recommend it!!! The room was exquisite, couldn't have asked for better! 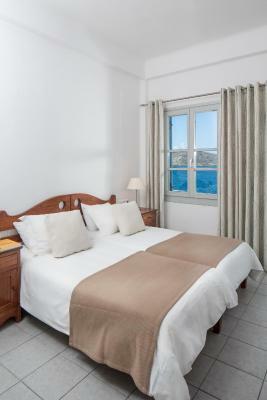 Location - v central beside restaurants, port, beach and bus stop to village. Staff were v helpful and knowledgeable. Balcony had lovely view. 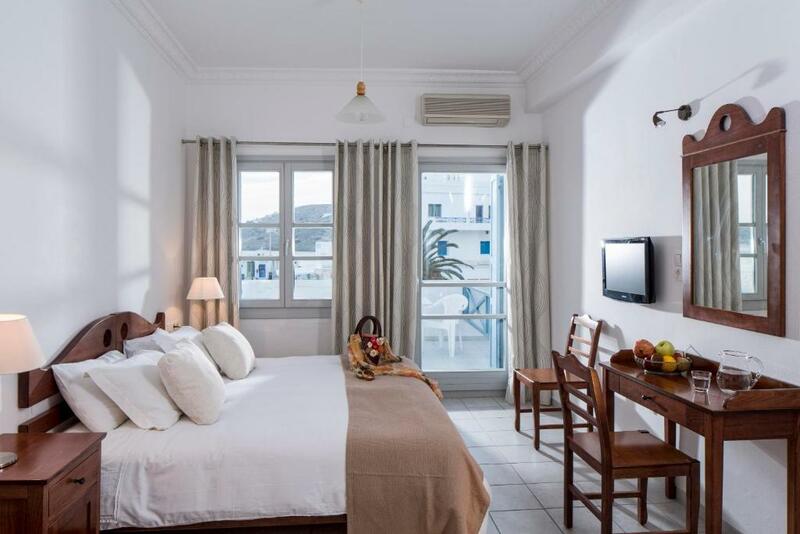 Acteon Hotel This rating is a reflection of how the property compares to the industry standard when it comes to price, facilities and services available. It's based on a self-evaluation by the property. Use this rating to help choose your stay! One of our best sellers in Ios Chora! 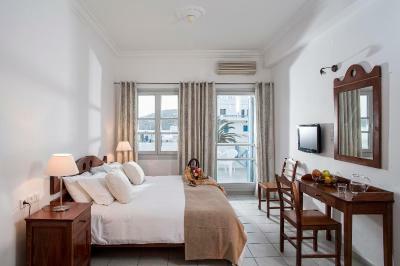 Acteon is in Ios Port, just a short walk from Yialos beach. 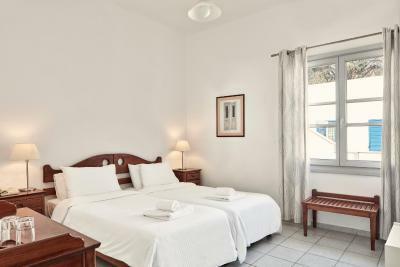 It offers spacious and well furnished rooms for budget-conscious travelers and it is open year-round. 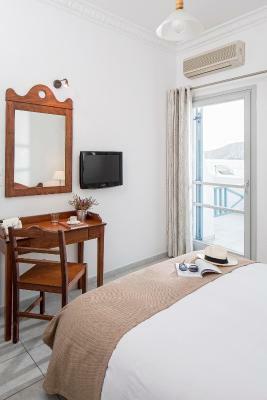 All rooms feature a private bathroom with shower, air conditioning, TV and a refrigerator. 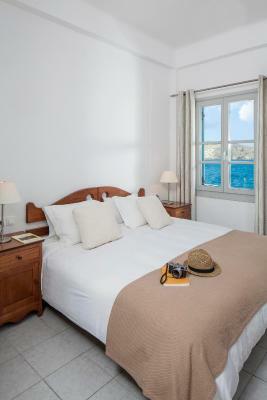 Most of the rooms have a magnificent view of the port and Yialos beach. 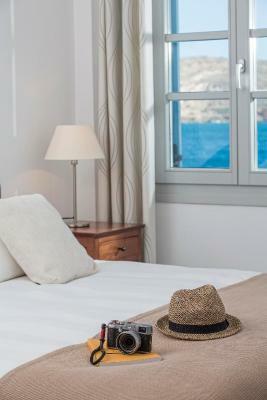 The bus stop is near the hotel offering transportation to Chora, Mylopotas and the rest of the island. 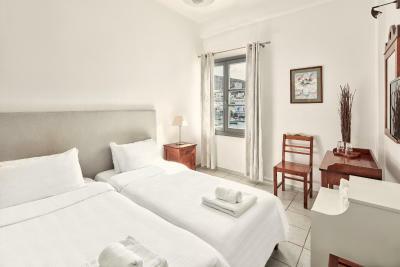 When would you like to stay at Acteon Hotel? 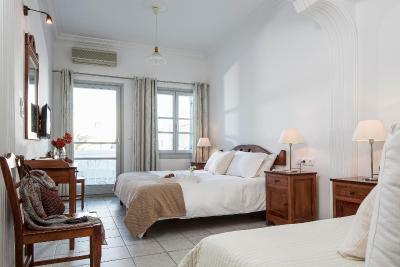 This room includes air conditioning, TV, fridge and private bathroom with shower. guests will always find a warm welcome ..a genuine love for hospitality and customer service and a friendly atmosphere with a will to help and assist in every request, preference and need honoring every guest and offering best stay possible..a small hotel for big expectations..
House Rules Acteon Hotel takes special requests – add in the next step! Acteon Hotel accepts these cards and reserves the right to temporarily hold an amount prior to arrival. Nothing, well, the faucet in the shower is hard to navigate while showering as it makes the shower very tight for a tall person like me. The hard surfaces in the hallways means every sound carries. Luckily it was quiet season when I was here, so not a problem for me. 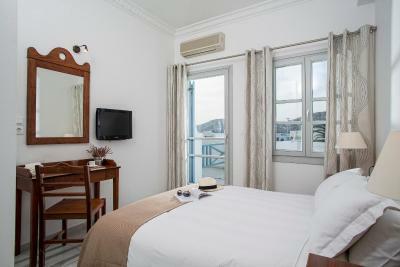 It's a 1 minute walk from the ferry, close to all amenities and walks. Staff were super nice to me and allowed me to stay in the room late on my last day during a storm to wait for the ferry. Room is clean and comfortable. Very disappointing check in with staff and no Tea and Coffee facilities in the room. 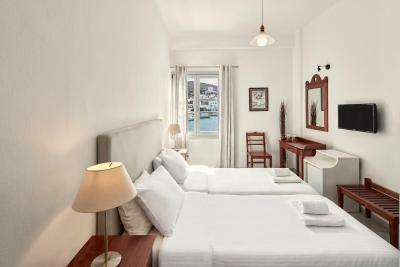 I think hotels in general should change that you have to pay the hole "double room price" although you are traveling alone...but of cause I was using the hole room ;-). After some nights I would have loved to get a new blanket to get rid of the beach sand 😉... And I would have loved to cancel one night but that wasn't possible for the hotel - of cause they would have lost money...(or booking.com...?..). The hotel is nice and good for some nights - it's more functional. 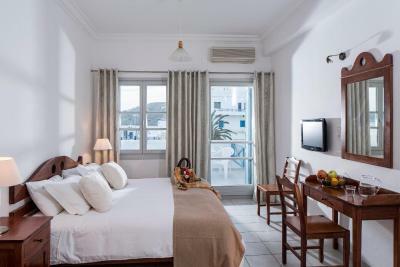 What I really liked about this Hotel is the location: Ots directly at the port so you can walk up to chora (or take the bus) and you can also walk to done beaches around that area. Port area seems in October very local- some restaurants and a supermarket are close. The view out of the hotel may be ocean or chora. 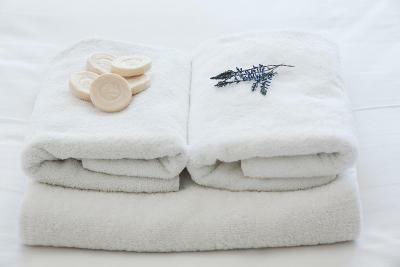 The towels were changed every day! Thanks! No group tours available. No coffee or breakfast available onsite. 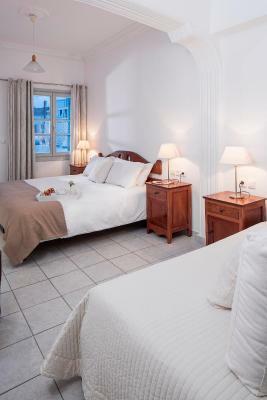 Clean simple good value rooms brilliantly close to the port. Probably not for a long holiday but definitely for a couple of nights. Even more so if needing a bed between boats. Right next to Ios Port for the ferries. 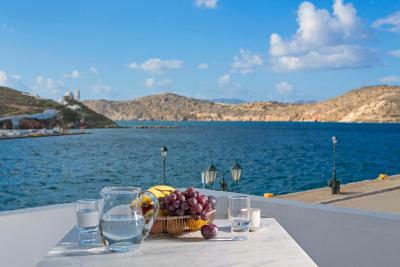 Restaurants all around, short walk to the beach, bus to Chora, car hire on site. Room was spacious and clean with good hot shower. Balcony facing away from the port with a glimpse of the marina end. Good A/C, comfy bed, fridge, toiletries. Helpful friendly staff. Above the travel agency of the same name, so marble stairs up at least one floor, or could be 3. Not a resort hotel, so no pool, lounges etc. I booked a room with balcony for 2 nights, I arrived at 12pm but check-in was from 2pm onwards (I knew that, no problem), so I just asked the reception, dropped off my luggage and went to the beach. When I got back and made the check-in (they had already took my money, there was a bill ready for me) I discovered that the room had no balcony and, to be honest, I think it was one of the worst rooms they have (the fridge was dripping water, there was a towel inside!). So I asked for a room with balcony (which I had booked AND paid) and they told me that, for that day, there were no rooms with balcony left and that I would have had to move to another room the day after (I was backpacking, so I had to unmade and remade my backpack, 2 rooms in 2 days). They told me it was a mistake so, apart the mess-up of moving rooms, I wanted at least a compensation since I had already paid for a room with balcony and had no balcony (yeah, apparently no mistake in taking my money BEFORE telling me there was a problem with the room, when I was there that same morning) . After much talking I got the deal they repaid my 2 breakfasts (croissants and cappuccino, modest ones). I realise this is a minor inconvenience, but, as I told the manager repeatedly while arguing for the rooms, what I really didn't like is that it really felt like there was no mistake at all but they just tried to palm me off a worse room hoping I didn't realise (I was there in the morning, they could have just told me there was a problem with the rooms, but no, I found out just in late afternoon). This is a real shame, because the hotel is nice and the location amazing. The hotel itself is quite nice, and the location is perfect, just in front of Ios port, a lot of services around and still not chaotic. 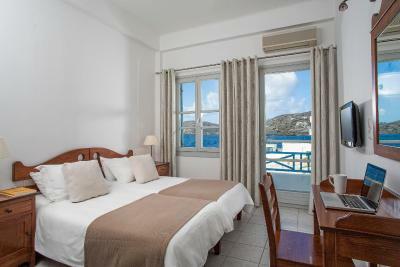 The room I booked was nice and neat, the bed comfy and the balcony very nice, you have a beautiful view on the port and the bustling days of this beautiful island! Very close to where ferry docks. 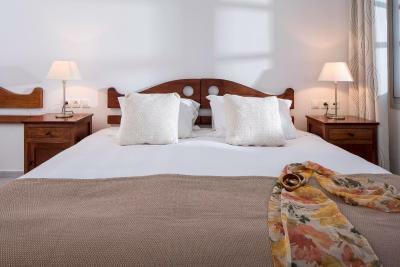 So clean,l and comfortable, location was ideal and staff were all lovely and accommodating. The room was too small, otherwise everything else was great! !